Cesc Fàbregas now has his own personal PowerCat design and he gave them a winning and scoring debut today in Barcelona’s 5-1 La Liga victory over Athletic Bilbao at the Nou Camp today. Cesc produced another top-class display in the Barca shirt. 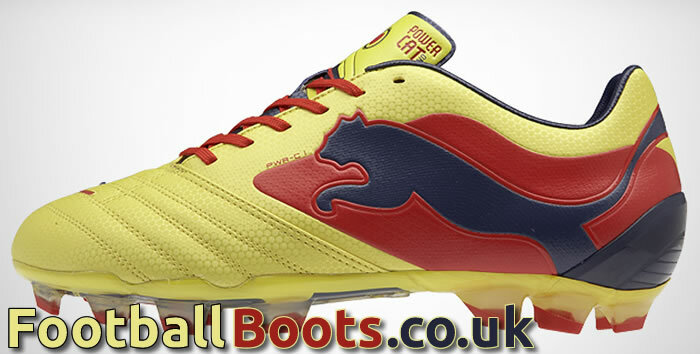 His goal came as Iniesta slipped a pass through for him to blast the ball home, a typical PowerCat goal! 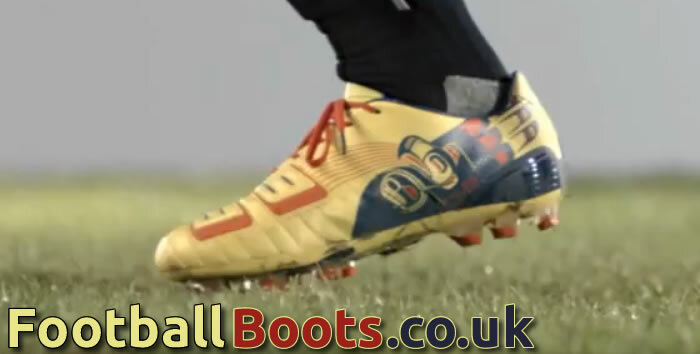 Fabregas has for his boots, what is a very unique design, an almost Aztec looking bird on the instep, combines with the yellow, red & blue colourway, a very Spanish flavour. The upper appears to be textured differently to other PowerCats & we’ll be interested to get our hands on a pair to see the difference between these, the regular PowerCats & the SL. 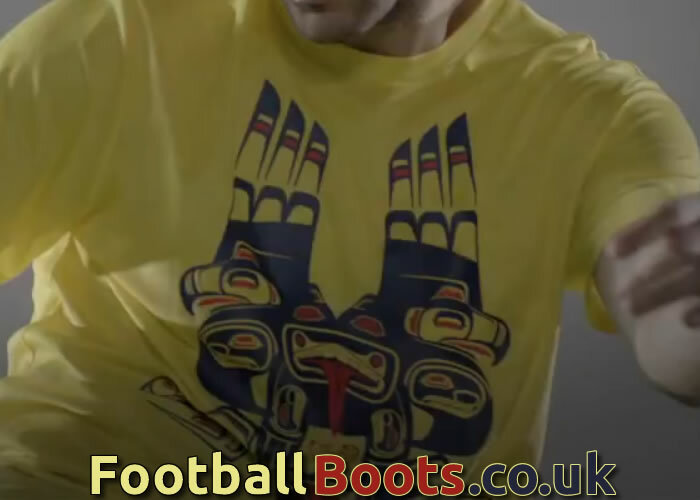 It looks from Puma’s video of Fabregas that there will be some cool football fashion to go with these boots, who doesn’t want one of those T-Shirts!